The following is a list of downloadable ads, articles, and bulletin inserts from previous years. Review them for ideas -- they'll help you customize and publicize your Planned Giving Campaign. The ads, articles, and bulletin inserts are organized by the year's quarter in which the ideas can be used. Churchill - "We make a living by what we get, but we make a life by what we give." ~Sir Winston Churchill. Timeless - You can leave a timeless legacy. Unchanging - Leave a legacy today, secure a constant unchanging income. Lent - Consider how life income gifts can support you today and the church’s mission tomorrow. Real Estate - Reduce income taxes and avoid capital gains taxes with a gift of real estate to your church or to ministries of your choice. Season - a time to be born and a time to die; a time to keep and a time to give away. Death and Taxes - A charitable gift annuity, administered by the Episcopal Church Foundation, gives you an income tax deduction in the year you establish the annuity. Estate Planning - Why Make a Will Or Do Estate Planning? Lasting Legacy - It's time to plan a lasting legacy (from 2006). Parents - Tell them you love them. Then show them how much by discussing how to secure their financial future. Pooled Income Fund - Contributing to a Pooled Income Fund is like throwing a pebble into a pond of water. The impact is long-lasting. Spring Checklist - Wipe away the cobwebs. Discard the clutter. Make a list. Get organized. He Lives - Be a witness. Be a faithful steward. Support the ministries of the church today and for years to come. Spring Planting - Have you done your spring planting? Tough Love - Don’t put it off. Talk to your parents today about updating their wills and securing their financial future. Freedom - Ensure that the legacy continues for your children and future generations. Summertime - It's a perfect time to take stock of your financial needs and assets. Then make plans to support your church in all seasons for years to come. Treasure - Put your treasure where your heart is. Bear Fruit - Luscious summer fruit reminds us of the bounty of God’s blessings. How can we give thanks for all our blessings? Future Plans - Do YOUR future plans include the church? Gifts of God - The gifts of God for the people of God. Legacy - A legacy or a tax bill? Which will it be? Solid - Solid. 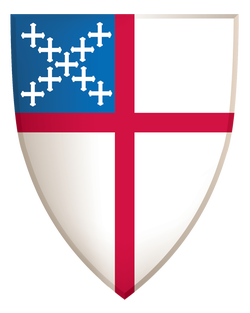 Episcopal. Enduring. A secure investment. Tomorrow - You can do more than think about the future. You can actually shape it. Christmas List - Make a special Christmas list this year. Ministry Gifts - Channel Your Gifts Toward Ministry. Advent - Your current and future gifts to ministry help bring peace, justice and righteousness to the world. Taxes - Want to reduce your taxes for more than financial gain? Thanksgiving - Return thanks for God's abundant generosity. Don't Let Procrastination Be Your Legacy - So many of us are guilty of putting off obligations and responsibilities until another day. FAQs About Planned Giving - What is planned giving, anyway? Shall We Dance? - The more God saw that “it was good,” the more generous God’s giving became. Could Someone Like Me Leave a Legacy? - Don't wait until spring to take care of updating a will; make provisions in it for those charitable organizations you care most deeply about. Good to Do and Good for You Too - Making New Year’s resolutions is a popular thing to do at the beginning of the year. Getting our finances in better shape is a typical resolution. You're Never Too Young to Make a Planned Gift - Make a donation to create a charitable gift annuity and elect not to receive payments until several years down the road, while still receiving a charitable deduction this year. Spiritual To-Dos Are the Real Work of Our Lives - Our spiritual to-do list is no less important than our daily living tasks. Can You Use a Retirement Plan to Fund a Planned Gift? - Wouldn’t it be great if you could avoid some or all of the taxes due on your Minimum Required Distribution? Well, the good news is that you just might be able to. Witness Matters - I know that I pay attention to what people I admire are doing and think about whether I should be doing the same thing. Spring has Sprung - As we put our houses in order, it is also a good time to consider the future. Spring Cleaning, Spring Planning - The annual cleaning is the time to reflect on the past year and plan for the future. Appreciated Property - If a property owner would like to sell property, guarantee him/herself an income for life, and provide some assistance to a church, a certain gift type is available to meet these goals. Series EE US Savings Bonds - New-Yes!, Improved-No. A Gift for the Future - Planned gifts aren't a commonly discussed form of charitable giving, but they offer many flexible options that can help prospective donors meet charitable and financial needs. Can I Make a Difference Too? - It doesn’t matter what my gift can’t do; it matters what it just might do. Celebrating Independence Day - What would it mean to be able to continue supporting the causes most important to you, even after you’ve gone? Summer's End - God has plans for our souls after we die. But we must make plans for our temporal possessions— our stuff. The Very Important Box - Many of us treat wills and estate plans like the Very Important Box — something we have because we should, but not something we take out to see if it needs updating. Holistic Financial Stewardship - With a life-income gift (such as a charitable gift annuity, pooled income fund, or charitable trust), the person gives a large asset away but keeps the income being generated by the asset. Immediate Benefits, Long-Term Legacy - A Charitable Gift Annuity arrangement allows you to contribute cash or appreciated securities to secure an annuity for your life and/or the life of another. Oh, Not Me! - Even if you are sure that your estate is small, a will can give you important peace of mind. Give Others Something to Give Thanks For - One of the opportunities that Thanksgiving provides is the chance to talk to your family about things that are important to you. It Really Is A Wonderful Life - As we celebrate Christmas, many of us reach out to those whose circumstances are more difficult than our own, either through financial contributions or by offering time and talents. Entrust a Lasting Legacy - A charitable remainder trust can assist in making a meaningful gift to your church while satisfying other financial concerns. Let Your Hope Shine Through - Sowing seeds for future fruit is an act of hope. Retirement Plans and Planned Giving - There are ways that you can use your retirement assets to benefit your parish. Charitable Remainder Trusts Can Help Your Family and Your Parish - Explore this flexible planned gift option that may meet the needs of donors who have several charitable interests, or need to meet a number of priorities. Good for You and Your Parish (Charitable Tax Deductions) - During the holidays, we're often reminded that charities need our support. During tax time, we're reminded of how we would really rather not be paying as much as we are in taxes. How do the two relate? How Can We Support Future Ministry? - Parishioners may want to consider ways to ensure that these beloved ministries or features are available not only now, but well into the future of the parish. It's Tax Time Again - A life-income gift, can provide you with an income as well as a charitable deduction that can be used to ease your tax burden. What Does Planned Giving Mean? - Planned giving describes charitable giving that takes place in the future. It is a method of giving, and takes its place alongside other methods, normally annual or capital giving. Who Gives Life Insurance as a Gift? - Are you considering making a planned gift to your church, but aren't sure how to fund it? You might consider using a life insurance policy; it’s a convenient way to make a sizeable gift. Can You Help Your Parents Help Themselves? - No doubt they have written their will at least once, but when was the last time they updated it? Gifts Funded with Real Estate - How to create a trust that would sell property and use the proceeds to fund an income stream for the donors for life. Life-Income Gifts are Not Only for Your University and Hospital - Life-Income Gifts can ensure a charitable gift to support a cause you care about when you’re gone. Charitable Gift Annuities - they're for Everyone! - A Charitable Gift Annuity is one of the most popular types of life-income charitable gifts available. It's Summer - Sometimes it’s easy to put off serious matters and responsibilities during the summer. Let Your Will Be Known - If you don't leave a will, the state you live in will make decisions for you. Your loved ones and the causes you care about may not be provided for. Bless This House - Do you have a charitable intent to use the real estate to do something significant for your church? The Gift That Gives Back - A Charitable Gift Annuity provides regular returns during the donor's lifetime. Thy Will Be Done - One oft-quoted statistic is that close to 70% of Americans die without having created a will. A Gift for You, A Gift for the Church - A charitable gift annuity is a practical solution for those who want to make a gift but also need income for themselves. An Act of Will - Sometimes it takes an act of will to write a will. What Exactly is Planned Giving? - A means by which our church benefits from your financial support. A Planned Gift that Makes a Difference Now - Under certain circumstances, you can make a planned gift that immediately benefits your parish. Be Prepared - We all have “contingencies” in our lives — are we ready? The Devil's in the Details - If you’ve been procrastinating about making your estate plans because you feel overwhelmed by the details, the Episcopal Church Foundation can help. A Gentle Nudge - Most of us can use a nudge now and then to do something we know we should do – like writing or updating a will or living trust. A River Runs Through It - Our endowment program includes <number> separate endowments that have combined to become a river. In Memorandum - With your will and other estate planning documents finalized, take a few moments to prepare a memorandum or letter to your loved ones expressing your thoughts of love and concern. Cover Letter RE: Charitable Gift Annuities - With all the ups and downs in the financial markets, many Episcopalians are turning to the church’s charitable gift annuity program to create a steady, dependable stream of lifetime income. Making Waves - Like ocean waves sweeping toward the sandy shore, our churches in the Diocese of Hawai'i touch the lives of our members. Five Ways a Gift Annuity Can Benefit You - Have you considered the benefits of obtaining a charitable gift annuity with the Episcopal Diocese and your church? Here are five points to ponder. Candlelight - "Endowments," she said, "are like candles. They provide light in the darkness of an uncertain future. They permit us to look ahead and plan with confidence. They shine rays of hope." Double Meanings - Double meanings can confuse those who are learning about planned giving. Wwe are eager to communicate clearly so there will be no confusion about the wonderful opportunities for you to make a planned gift to the church. Don't Do This With Your Will or Living Trust - Your will or living trust is one of the most important documents you will ever sign. There are certain things to avoid in order to do it right.